One of the objectives of the Nautical Archaeology Digital Library is to organize and connect graduate and undergraduate projects focusing on the study of maritime landscapes or cultural heritage. Below is a list of the thesis and dissertations included in this study. Yue Yan (MA 2015-2016) Computer Science. Texas A&M University. Committee Chair: Richard Furuta. Data mining, analysis and information retrieval. Kotaro Yamafune (MA 2009-2012). Anthropology. Texas A&M University. Committee Chair: Filipe Castro. The Portuguese Century in Japan and the Namban Screens. Coral Eginton (MA 2008-2014). Anthropology. Texas A&M University. Committee Chair: Filipe Castro. Dutch ship pharmacies. Laura Gongaware (MA 2006-2013). Anthropology. Texas A&M University. Committee Chair: Filipe Castro. Treasure Hunting: Three Case Studies. Carlos Monroy (PhD 2006-2010). Computer Science. Texas A&M University. Committee Chair: Richard Furuta. 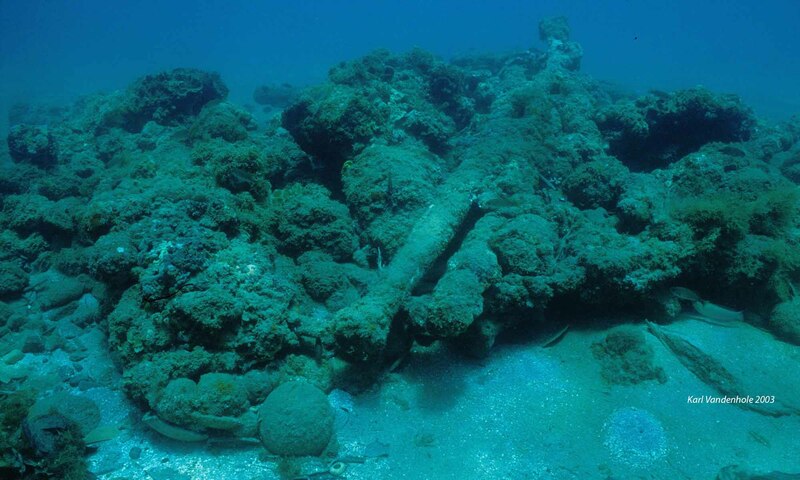 A Digital Library Approach in the Reconstruction of Ancient Sunken Ships. Katie Custer (MA 2000-2004). Anthropology. Texas A&M University. Committee Chair: Filipe Castro. Wrought Iron Hand Tools from the Underwater Archaeological Excavations of Colonial Port Royal, Jamaica, C. 1692. Raphael Franca (MS 2016-2017). Anthropology. Texas A&M University. Committee Chair: Filipe Castro. A Geospatial Analysis of Pre-Columbian Florida Log Boats. Chelsea Cohen (MS 2016-2017). Anthropology. Texas A&M University. Committee Chair: Filipe Castro. Raising Port Royal: A Geospatial Reconstruction of the 1692 City Through Integrated GIS and 3D Modeling. Kelsey Rooney (MS 2016-2017). Anthropology. Texas A&M University. Committee Chair: Filipe Castro. The Power of Location Predictive Modeling and GIS. Sam Cuellar (PhD 2015-present). Anthropology. Texas A&M University. Committee Chair: Filipe Castro. Indianola Maritime Landscape. Arik Bord (PhD 2015-present). Anthropology. Texas A&M University. Committee Chair: Filipe Castro. Antigua Maritime Landscape. Samila Ferreira (PhD 2013-2015). Anthropology. Texas A&M University. Committee Chair: Filipe Castro. Policies of Memory, Politics of Forgetting. Rodrigo Torres (PhD 2010-2015). Anthropology. Texas A&M University. Committee Chair: Filipe Castro. The Archaeology of Shore Stranded Shipwrecks of Southern Brazil. Paul Creasman (PhD 2006-2010). Anthropology. Texas A&M University. Committee Chair: Filipe Castro. Extracting Cultural Information from Ship Timbers. Bryanna Dubard (MA 2005-2013). Anthropology. Texas A&M University. Committee Chair: Filipe Castro. The Key to All the Indies: Defense of the Isthmus of Panama. Matt Suarez (MS 2015-2016). Visualization Sciences. Texas A&M University. Committee Chair: Frederic Parke. Computer Aided Modeling In Archaeology. [Demo 1] [Demo 2]. Kotaro Yamafune (PhD 2012-2015). Anthropology. Committee Chair: Filipe Castro. Using Computer Vision Photogrammetry (Agisoft PhotoScan) to Record and Analyze Underwater Shipwreck Sites. Charles Justus Cook (MS 2010-2011). Department of Visualization. Texas A&M University. Committee Chair: Frederic Parke, A Parametric Model of the Portuguese Nau. Kelby Rose (PhD 2008-2014). Anthropology. Texas A&M University. Committee Chair: Filipe Castro. Reverse Naval Architecture of Vasa, a 17th-Century Swedish Warship. Lilia Campana (MA 2006-2010). Anthropology. Texas A&M University. Committee Chair: Filipe Castro. Vettor Fausto (1490-1546), Professor of Greek and Naval Architect: a New Light on the 16th-Century Manuscript Misure Di Vascelli Etc. di…Proto Dell’Arsenale di Venetia. Audrey Wells (MA 2006-2008). Visualization Sciences. Texas A&M University. Committee Chair: Frederic Parke. Virtual Reconstruction of a Seventeenth-Century Portuguese Nau. Courtney Higgins (MA 2005-2012). Anthropology. Texas A&M University. Committee Chair: Filipe Castro. The Venetian Galley of Flanders: from Medieval 2-Dimensional Treatises to 21st Century 3-Dimensional Model. Vincent Valenti (MA 2005-2009). Anthropology. Texas A&M University. Committee Chair: Filipe Castro. Transitions in Medieval Mediterranean Shipbuilding: A Reconstruction of the Nave Quadra of the Michael of Rhodes Manuscript. Sarah Kampbell (MA 2004-2007). Anthropology. Texas A&M University. Committee Chair: Filipe Castro. The Pantano Longarini Shipwreck: A Reanalysis. Hiroaki Miyashita (MA 2004-2006). Anthropology. Committee Chair: Filipe Castro. Ancient Ships of Japan. George Schwarz (MA 2003-2008). Anthropology. Texas A&M University. Committee Chair: Filipe Castro. The History and Development of Caravels. Blanca Rodriguez (MA 2003-2008). Anthropology. Texas A&M University. Committee Chair: Filipe Castro. Standardization of Spanish Shipbuilding: Ordenanzas para la Fabrica de Navios de Guerra y Mercante – 1607, 1613, 1618. Randall Sasaki (MA 2002-2008). Anthropology. Texas A&M University. Committee Chair: Filipe Castro. The Origin of the Lost Fleet of the Mongol Empire. Timothy Kane (MA 2002-2006). Anthropology. Texas A&M University. Committee Chair: Filipe Castro. Influence and Evolution: The Development of the Batten Lug Sail. Alex Hazlett (PhD 2001-2007). Anthropology. Texas A&M University. Committee Chair: Filipe Castro. The Nao of the Livro Nautico: Reconstructing a Sixteenth Century Indiaman from Texts. Erika Laanela (MA 1999-2008). Anthropology. Texas A&M University. Committee Chair: Filipe Castro. Instrucción Náutica (1587) by Diego García de Palacio: an Early Nautical Handbook from Mexico. Chris Cartellone (PhD 2009-2015). Anthropology. Texas A&M University. Committee Chair: Filipe Castro. H.M.S. Solebay and Maritime Archaeological Heritage Preservation in Nevis, West Indies. Tiago Fraga (MA 2002-2007). Anthropology. Texas A&M University. Committee Chair: Filipe Castro. Santo António de Tanna: Story and Reconstruction. Gustavo Garcia (MA 2000-2005). Anthropology. Texas A&M University. Committee Chair: Filipe Castro. The Rincón Astrolabe Shipwreck.